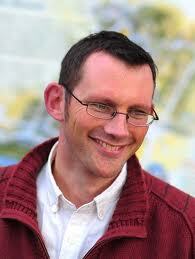 Watch a talk given by Rob Hopkins at the Earth Building UK Conference this year. 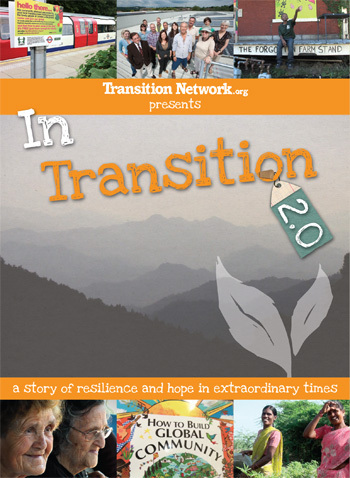 DC Environmental Film Festival features "In Transition 2.0"
About the film: Responding to uncertain times with resilience, creativity and optimism, this film, inspired by the Transition Movement, captures 16 inspiring stories from seven countries around the world of ordinary people doing extraordinary things. It shows communities printing their own money, growing food everywhere, localizing their economies and setting up community power stations. In a world full of challenges, these are stories of hope and ingenuity. Free Screening March 13, 5:00pm, part of the DC Environmental Film Festival. 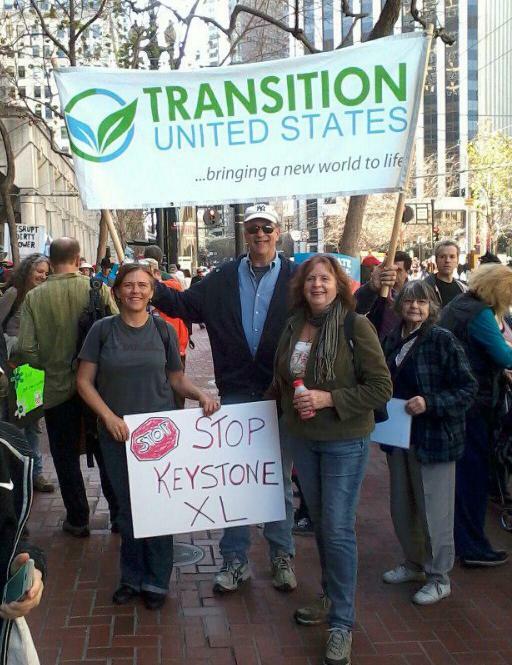 Transition Initiatives across the country joined the largest climate rally in history. 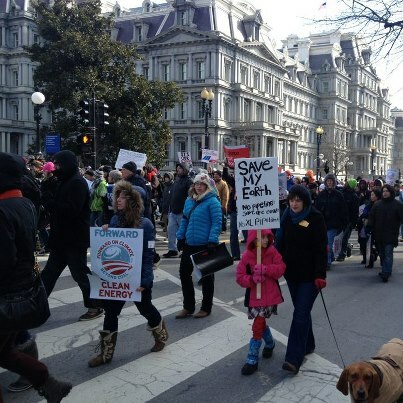 On February 17, members of the Transition movement joined tens of thousands of activists in Washington, DC, and at solidarity rallies across the country to protest the proposed Keystone XL Pipeline and demand President Obama take serious action to combat climate change and reduce our dependency on fossil fuels.Read more about the rally in this Huffington Post article. This month we're thinking about how to grow a movement at the social relationships that create the foundation for massive change. At the edge of where ideas hit the ground, the Transition Lab is "training ordinary people to model, explore and create a resilient future" // Read more. -- The Transition Lab it is a creative example of a Transition Enterprise and that we are looking forward to highlighting more of the in coming months! The Atlantic examines the role of neighborhood social networks in helping communities survive and respond to emergencies // Read more. Here are some highlights of what's keeping Transition Initiatives busy across the US and around the world //Read more. Our recent webinar on sharing by Janelle Orsi and YES! 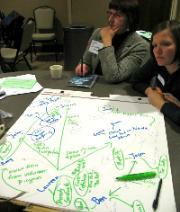 Magazine look at cooperative ownership in our shifting economy // Read more. As we cultivate our capacities to become effective change-agents, this webinar will provide an opportunity to explore the relationship between the landscapes within and how we show up in our life and leadership. What becomes possible when we deepen our self-awareness to discover what holds us back? And how can we design a life that feels inspiring AND contributes powerfully to the transformation of our world? To explore these questions, James Stark, Christopher Kuntzsch, and Katia Sol will draw upon their experience leading the Ecology of Leadership program at the Regenerative Design Institute in Bolinas, CA. They will provide an introduction to the program's core principles and practices, and share how we can begin to incorporate these into our lives as well as our local transition initiatives. 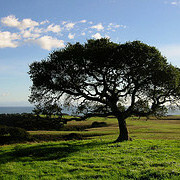 For more information, visit www.TheEcologyofLeadership.org. Join us for a conversation with Rob Hopkins. Hear how the Transition concept has spread to different countries. How it has deepened within communities. And what directions are emerging. Rob needs no introduction really but if you are new to the concept of "Transition" then this is a great opportunity to learn from the source. How do we get from stuck economy to resilient economy? 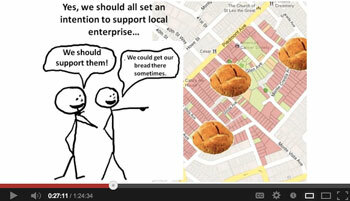 With the help of lively cartoon images, sharing economy lawyer and Director of the Sustainable Economies Law Center, Janelle Orsi, will help us visualize some of the next critical steps and how a new sharing economy can ACTUALLY WORK -- "How Cooperatives and Community Enterprise Will Get Us Out of this Gigantic Mess." Volunteer efforts often flounder due to a failure to develop reliable, consistent, and creative local leadership teams. Research has revealed 5 building blocks necessary for creating interdependent teams, and in this lesson you will learn to structure leadership teams that encourage stability, motivation, creativity, and accountability - and use volunteer time, skills, and effort effectively. Margiana Petersen-Rockney of the Young Farmer Night Series in Massachusetts/Rhode Island explores how the social organizing skills she developed early in life have helped her build community and bounce back from adversity. Transition Network's Ben Brangwyn shares helpful meeting and organizing tools to maximize the impact (and fun!) 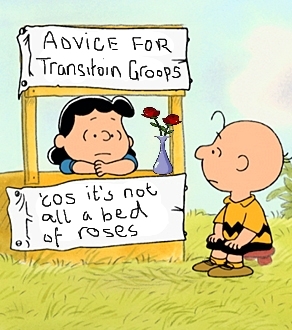 of your Transition Initiative meetings. This month saw two major releases from Post Carbon Institute. Our new book Rebuilding the Foodshed by Philip Ackerman-Leist, the latest in theCommunity Resilience Guide series, is a great resource for groups either starting out on food and community projects, or wanting to take their work to the next level. The book is available to buy at a special friends of PCI price - just follow this link and enter the code: EVDEBS. Our second big release of the month was the groundbreaking new report Drill Baby Drill by Post Carbon Fellow David Hughes. The report uses thorough research and data analysis to deflate the hype about unconventional oil and gas, popping the myth of a new era of energy abundance. For more information including fact sheets, graphs and a map seeshalebubble.org.